You've Been Placed on a Boarding School's Waiting List. You’ve Been Placed on a Boarding School’s Waiting List. Now What? The time has come. You’ve been waiting for Decision Day since you submitted your applications to several boarding schools. You open the emails from the schools with great anticipation, only to find that you’ve been placed on the waiting list of your top-choice boarding school. Please don’t view this as a rejection. Being on the waiting list still gives you the opportunity to gain admission to the school you desire, as long as you follow a few steps that will maximize your chances of getting off of the waiting list. What is the Waiting List? 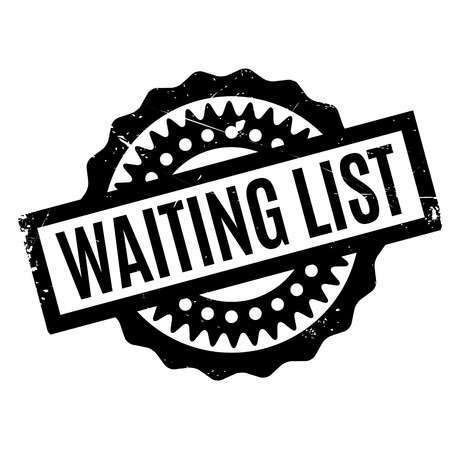 The waiting list is a compilation of students who are qualified to be admitted to the boarding school to which they applied; however, the school did not have enough available spaces to accept these students. Boarding schools accept more students than they have spaces for to account for the students who apply to not only their boarding school, but to several others, and for those students who choose to enroll in another boarding school. The schools can’t accept too many applicants for fear of having too many students enroll in their school, thus resulting in insufficient resources to support the student population. This is why the schools implement a waiting list. It keeps a few students on hold in case fewer than the expected number of students enroll in the school. The school can consult the waiting list and then offer some of those students on the list places in the incoming class to fill the remaining empty spaces. Several factors play into why a student is placed on the waiting list. Firstly, the school may feel the student will not attend the school if accepted due to a lack of demonstrated interest during the application process. Secondly, the student could be applying from a geographic area that doesn’t have a proven record of sending students to boarding schools in general, or a particular boarding school, specifically. Lastly, the school may not have the financial resources that particular year to accommodate all of the students who applied for financial aid, or the student’s application may have lacked one key component, such as adequate standardized test scores. Reply to the waiting list notification by sending a handwritten thank-you note to the admissions office, specifically the admissions representative with whom you interviewed during the application process. Emphasize that you’re still very interested in attending the school because of the programs, faculty, and the specific activities that the school provides. Be very specific when naming these factors instead of generalizing. Highlight any new accomplishments since submitting your application to enhance your qualifications. This will help you stand out against other students on the waiting list, thus demonstrating to the admissions office that you are very likely to enroll in the school if accepted. If you learn that there is an Open House or Revisit Day for admitted students, ask if you may attend. While on campus, take the time to speak with an admissions officer about your desire to attend the school. Aside from writing the thank-you note and speaking with the admissions officer, you shouldn’t reach out to the school anymore. Pestering them by checking in on your admissions status will negatively affect your chances of moving off of the waiting list. Confirm a deposit at your second choice boarding school to make sure you don’t jeopardize the opportunity to attend another great institution. Most schools will allow a period of time after a deposit is made to cancel enrollment before full tuition is due. This will allow you to enroll in the school that wait-listed you, if accepted. If you really wish to attend your first-choice school, you can always wait a year and reapply in the hopes that you gain admission the second time around. We are passionate about our students and their success!